A paste made from fermented soybeans, sea salt and a mold starter called koji, this enzyme-rich food frequent in Japanese and Chinese diets. 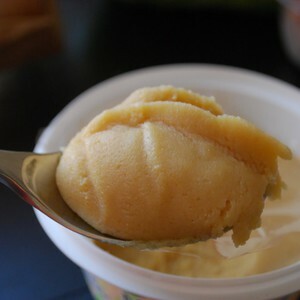 A staple in Chinese and Japanese diets from as far back as 2,500 years ago, miso is a paste made from soybeans, sea salt and a mold starter called koji. The mixture ferments for 3 months, or up to 3 years, producing an enzyme-rich food that looks like tofu or cheese. Japanese culture has the tradition of consuming miso soup daily—most often in the morning— to stimulate digestion and energize the body. Miso’s binding agent is zybicolin, which detoxifies the body and eliminates elements that are taken daily through industrial pollution, radioactivity and artificial chemicals in the soil, and the food produced in it. For this reason, it is best to find miso with live enzyme-rich product, versus a pasteurized version, as it will most provide beneficial probiotics that aid and restore digestion and gastrointestinal functions. Miso flavor is slightly sweet and salty, with a lot of versatility for recipes that are served warm or cool. Miso’s color can vary from off-white to light yellow and is combined well with an array of vegetables, grains and meats.